Atlas and the Anchor: Show Alert: Old Monk at Omega Music in Dayton on Friday May 11th! 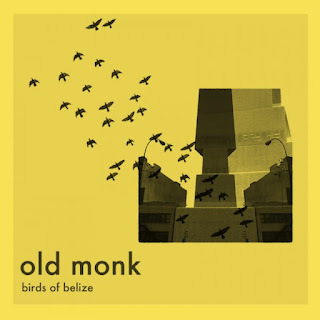 Show Alert: Old Monk at Omega Music in Dayton on Friday May 11th! Brooklyn garage-pop band trio Old Monk are currently on tour and are making a special stop here in Dayton for an instore performance tomorrow night, Friday May 11th, at Omega Music during the downtown Urban Nights celebration. They create an energetic and anthemic slice of garage-punk with knotty guitar noodling, cagey and frenetic drumming and a slick nostalgia-laced pop sense that harkens back to the guitar-led indie rock of the 90's on their infectious debut album Birds Of Belize out now on Eenie Meenie Records. So come out to Omega Music, check out your new favorite band Old Monk, buy a record or two and then head uptown for the festivities!